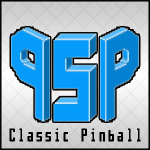 Pure Shift Productions has created the Classic Pinball library of sounds recorded from a classic 1970’s era pinball machine (Quick Draw) . What does this mean? Here you’ll find all electro-mechanical sounds such as chimes, flippers, solenoids, relays, etc. Included are 196 mono files at 24bit/48k and there’s over 20 minutes of audio. There are a number of game play recordings as well as one shots. 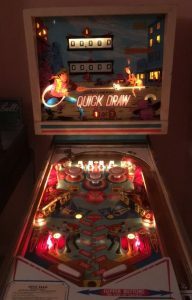 So, you can use this library for a pinball video game or even as foley sounds for a YoutTube video. Also included is a Kontakt file for Kontakt 5 (full version only) where I’ve mapped many of the oneshot samples so that you can use it with your favorite DAW. Below is an example of one of the included gameplay files and I’m also offering a free version that will get you 13 files to experiment with. Please let me know if you use any of the sounds of this free version in your projects. I’d love to hear about it!